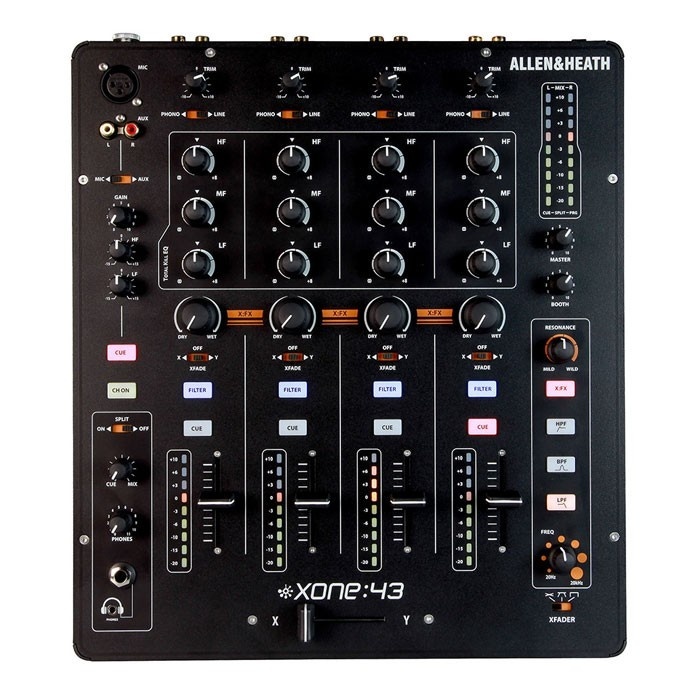 Created for DJs and electronic music purists, Xone:43 is a 4+1 channel DJ mixer that offers the very best of analogue audio quality, including the legendary Xone filter with resonance control, 3 band EQ, crossfader with three curve settings and X:FX for send/return to your favourite FX unit. The crossfader has three switchable curve settings for blending or scratching styles and can be easily replaced or upgraded to a custom Innofader for ultimate crossfader performance. With balanced XLR main outputs, independent booth and record outputs, Xone:43 excels in the club and in high end personal DJ setups.